Twelve-year-old Nolan Smith studies at Tiger Martial Arts Academy in Freeland. 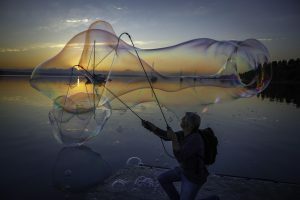 To earn his shodan black belt in karate, he not only had to be physically fit, but also perform community service. 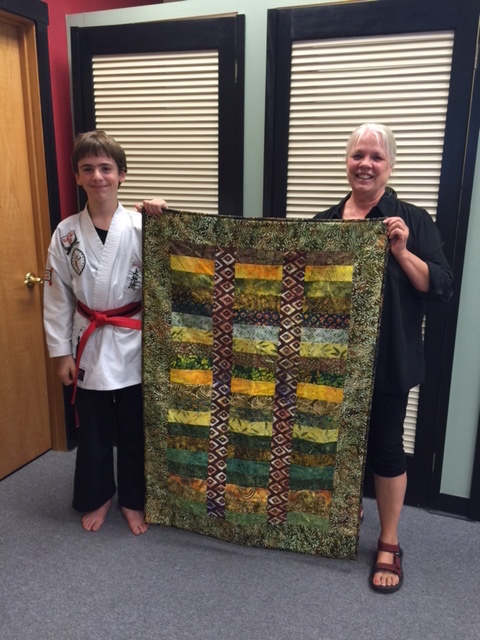 Under the guidance of his grandmother, Katy Smith, Nolan chose colors and fabrics and made a lap quilt, then displayed it for a couple of months at Tiger Martial Arts Academy to raise money through a raffle for a local non-profit. 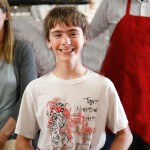 Nolan chose Whidbey Island Nourishes (WIN) as the recipient of the raffle proceeds. WIN provides nutritious food for families through their weekly backpack program, lunches at the food bank, healthy snacks for teens at the Whidbey Academy and other youth programs, as well as free food vending machines in Clinton and Langley. Tickets were sold at Tiger Martial Arts Academy and also by his grandma through her Facebook page. The winning ticket was purchased by Sherry Adolphi of Yelm, a grade-school friend of Katy Smith’s, who saw the quilt on Facebook and sent in $5 for raffle tickets. The quilt raffle raised a total of $303 for WIN. Nolan visited the WIN kitchen and observed volunteers at work before presenting WIN board member Margaret Anderson with the raffle proceeds. “What a kind-hearted and generous young man!” said Tiffany Paine, WIN’s Operations Manager. 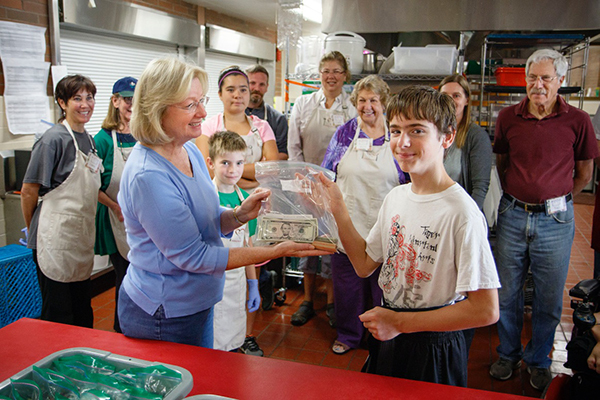 Nolan’s gift will help WIN keep South Whidbey children well-nourished. “He’s proud of being able to help,” said his equally proud Grandma. NOTE: WIN is holding its largest fundraiser of the year—a Summer Frolic with a Gypsy theme, at 6 p.m. this Saturday. For further information, or to learn how to contribute to WIN, CLICK HERE. Photo at the top: Nolan shares a smile (photo by David Welton). 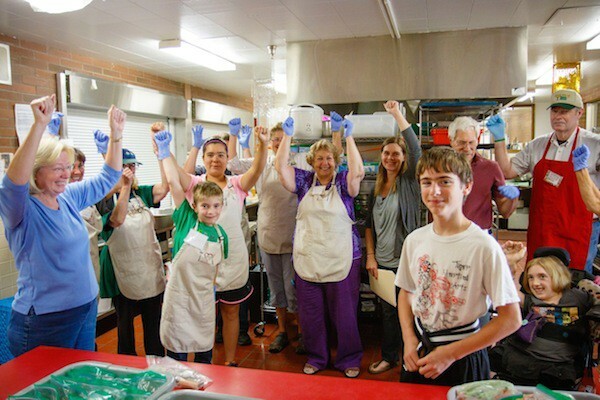 Betty Freeman is a WIN volunteer who enjoys starting her week with the wonderful Monday crew at the WIN kitchen.